Our aim is for children to become confident, fluent readers with good understanding. We encourage them to read widely and often for both pleasure and purpose. We hope to inspire children by sharing fantastic books and encouraging a life-long love of reading. We believe our English curriculum, including our phonics and reading provision, fully equips our children to achieve this aim throughout their time with us. Phonics is taught through discrete daily sessions from Foundation to Year Two and in KS2, regular sessions are delivered where a need is identified. We follow the ‘Letters and Sounds’ systematic approach. This means that the children are taught the 44 phonemes (sounds) in the English language, linking letters or groups of letters with sounds. We use Read, Write, Inc resources to support our teaching. We endeavour to make learning phonics as practical, multi-sensory, engaging and memorable as possible for our children. All children are taught specific reading lessons; this is in addition to their English lessons. The purpose of this is to teach the many skills required to become the confident, fluent readers with good understanding, which we aim for. These skills include: skimming, scanning, predicting, inferring and summarising. As with phonics, we work hard to ensure that these lessons are engaging and enjoyable, using quality texts to inspire and motivate the children. Children have regular opportunities to read one to one with an adult. This could be the class teacher, teaching assistant, student or parent helper. All one to one reading will be recorded in children’s reading diaries and class reading folders. Children identified as having a significant need, will receive more regular 1:1 reading. We aim to share books at every opportunity. Children never grow tired of listening to a good story or poem and all class teachers are heartened and motivated by this. Every term, each class chooses an author to explore. This inspires children and encourages them to appreciate the wealth of quality literature available. Each year, some classes are chosen to help test books for The Red House Book Awards. This is an opportunity to discover some of the best new children’s authors and books. Children have access to the school library at different times throughout the week. They are able to spend time there, discovering and enjoying new books. Children are able to borrow books to share with an adult at home before returning them and choosing another. At Montpelier, we place a high importance on children reading at home. Books are taken home so that parents can help by listening to and reading with their children. This is an expectation as children who read regularly at home are more likely to become independent and successful readers. As the children start on their reading journey, they choose books from a selection of colour-banded texts. These texts get progressively more challenging as they work their way through the colours. At Montpelier, we do not use one reading scheme. Our children have the opportunity to read books from a range of schemes enabling them to experience as vast a range of texts as possible. These schemes include Collins Big Cat, Oxford Reading Tree, Heinemann Storyworld, Pearson Bug Club, Usborne plus many more. In Foundation and Key Stage One, children will bring home a banded book and a picture book from their class library to share with an adult at home. Once the children have worked their way through the banded books, they will become free readers, and choose non-scheme books to read at home. In Key Stage Two, children are encouraged to continue their development as enthusiastic, independent and reflective readers. Reading diaries are sent home daily and should be signed, by an adult, at least three times a week. Children are rewarded in class for reading, to an adult, at home and Star Readers receive prizes at the end of each term. If children’s reading diaries are not signed by an adult at home, we will contact parents to offer guidance and support. When children move up a book band, a target sticker will be put in to their reading diary. This sticker informs the parent of the book band their child is working on and offers some suggestions for ways they can further support them at home. A book of the week recommendation is placed on the school newsletter and website every week. Parents and staff members are encouraged to recommend books, which they have shared with their children and enjoyed. Each reading session has a clear learning objective; children’s progress is assessed against this. Objectives are tracked to ensure coverage and progression. One to one, small group reading also provides evidence to inform teacher assessments. Every term, children in Years 1-6 complete a PIRA or SATs assessment. Question level analysis is completed to ensure gaps in learning are highlighted and used to inform planning. Whole school moderation ensures our assessments are accurate and consistent. In Foundation, children are taught standard letter formation. We use the Read, Write, Inc. resources to support our teaching. Throughout the Summer Term, children who are ready, are encouraged to start adding entry and exit strokes to their letters. In Year One, all modelled writing becomes pre-cursive with entry and exit strokes. All children are taught how to write in this style. In Year Two and beyond, all modelled writing is fully cursive. Children are encouraged to start joining as soon as they are ready. Children are taught handwriting explicitly and at every opportunity when they are writing. Any child, who finds any aspect of handwriting difficult, will be supported and appropriate intervention will be put in place. Children at Montpelier use a pencil to write with. Every year, children have the opportunity to ‘earn’ a pen licence. If their handwriting and spelling meets all of the expectations for their year group, then they are rewarded with a pen licence and pen! This process starts again as all children move up to the next year group. In Foundation, a phoneme is sent home weekly, with a suggested activity for the children to apply their learning. 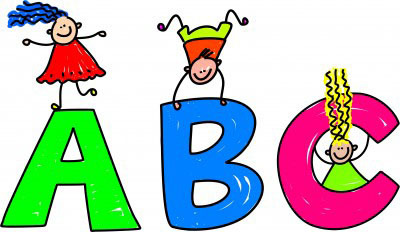 In KS1 and KS2, at the beginning of every term, the spellings for the whole term are sent home. As well as this, weekly reminders are sent home with fun suggestions as to how the children could learn their words. Each week’s spellings are broken down in to bronze (must learn), silver (should learn) and gold (could learn) spellings. On most occasions, children working at age-related expectations, should be learning all of the words. Spellings can be topic words, common exception words, words from the national curriculum spelling lists or words that follow a pattern or rule that the children have been learning. Every week, children in Years 1-6 complete a wow write. This assesses their ability to spell the words and spelling rules/patterns taught and sent home in the previous week. Children hear a bronze, silver and gold dictation containing the spellings. Children write down the sentences, demonstrating their ability to spell the words in context. Phonics is taught through discrete daily sessions from Foundation to Year Two and, in KS2, regular sessions are delivered where a need is identified. We follow the ‘Letters and Sounds’ systematic approach. This means that the children are taught the 44 phonemes (sounds) in the English language, linking letters or groups of letters with sounds. We use Read, Write, Inc. resources to support our teaching. We endeavour to make learning phonics as practical, multi-sensory, engaging and memorable as possible for our children. Following the National Curriculum, children are taught the relevant spelling, punctuation and grammar rules for their year group. In KS1, this takes place in either the daily English or Phonics lessons. In KS2, children have at least 2 x 30 minute lessons a week, dedicated to the teaching of SPaG. As with phonics, we endeavour to make our SPaG lessons practical, multi-sensory, engaging and memorable. Each class, each half term, will pick a piece of writing to be displayed on the prestigious school Star Writer board. Units of work are planned using objectives from the national curriculum. When planning a unit of work, consideration is given to what type of writing will give the children the best opportunity to demonstrate the skills they are being taught. Across each year, children will write a range of fiction, non-fiction and poetry. We ensure that there is a clear purpose and audience for each unit, giving the children a real reason to write. Units of work begin with a Wow Starter to motivate the children and ensure they want to write. The next phase of a unit is immersion; children immerse themselves in quality texts and activities, which prepare them for their own writing. Following this is the experimenting phase, where children have the opportunity to practise the new skills they are taught. The final element of a unit is the independent phase. At this time, children develop their drafting and editing skills before putting everything they have learned into practice in their end of unit progress write. To encourage children to self-check, edit, and improve their own work, we use the ‘Beat the Green’ approach. Children across the school are taught how to use a variety of self-help strategies including: beat the green buddies, success criteria, word banks and WAGOLLS. Once children’s work has been discussed/marked, they can make further improvements using a purple polishing pen. All work is marked in accordance with the school’s marking policy. Positive elements of work, demonstrating progress towards the learning objectives are tickled pink. Work, which could be edited and improved, is marked with a green pen. These ‘greens’ are split into two categories – lazy greens (something already learnt) and learning greens (new learning). Next steps and areas to build upon are written in blue. End of Unit writes are assessed using the SLN highlighting sheets, informing our teacher assessments. Regular moderation takes place, both internally and externally, to ensure our assessments are accurate and consistent. Our aim is for Montpelier to be a language rich environment, where pupils and staff use the spoken language to communicate and express themselves successfully. There is a whole school expectation that all members of the school community will apply good oracy principles when communicating and interacting. We reward good oracy, across the school, with oracy dojos. Examples of good oracy could include: speaking in full sentences, using kind words, saying good morning, disagreeing with an opposing view and justifying your reasons. All twenty two classes at Montpelier are in the process of creating a set of ‘Talking Tips’. These are a set of guidelines that pupils and staff follow to help them improve their oracy skills. When planning, staff at Montpelier consider and create opportunities to talk. Not only are we learning to talk, we are learning through talk. We appreciate that learning, across the curriculum, can be enhanced when quality, structured talk is encouraged. As well as providing opportunities to talk within lessons, we work hard to provide ‘real life’ opportunities for pupils to develop their oracy skills too. Examples of this include: Foundation children visiting the local shop to spend 10p. Pupils recording our telephone answer phone messages. Pupils taking orders and serving teas and coffees during our parent helper afternoon tea. We use various strategies to develop our vocabulary at Montpelier. We pre-teach topic specific vocabulary, we collect and investigate words in SPaG, we clarify the meaning of words when we read, and we read quality texts and discuss the impact of words and phrases. We have high expectations of vocabulary when children are talking and writing. Thank you so much for helping to make Tom's visit such a success. KS2 children were treated to a presentation from Tom and also the journalist Rick Broadbent. Children, from across the whole school, made the most of the opportunity to buy a personally dedicated and signed book. Pilgrim Pete also made a visit, adding to the football fever! Some of our younger children enjoyed reading Pete an extract of one of Tom's books. Hopefully some of our budding authors have been inspired to write some stories of their own. Our visitors said what a wonderful morning they had at Montpelier. They also said how impressed they were with the children's behaviour, apparently they've never experienced such wonderful manners during a book signing. Well done everyone. Year two children reading one of Tom Palmer's books to Pilgrim Pete! Just a selection of the new books heading our way... Thank you for taking part in the sponsored read. What a great turn out to our Phonics Workshop! Thank you so much for attending. Hopefully you found the workshop useful. I am looking to organise more workshops and resources for parents so any feedback is greatly appreciated. If there is any area of reading or writing that you would like to find out more about, please email me. Year 2 crime scene - inspiring our writing!